In our mini-series on Global Value Chains (GVCs) we look how three German key industries – motor vehicles, chemicals and machinery – are part of complex international production networks. It shows to what degree Germany is embedded in a network of international partners in which everyone specializes on what they are doing best. This week we focus on the role of China for German key industries. The rise of China’s economy in the last two decades has been breathtaking. Starting from scratch, the country has become the 2nd largest economy in the world in terms of gross domestic product and accounts for 11.5 percent of world trade. When it comes to exports, China has even been the uncontested world champion for nearly a decade. However, mere trade volume does not tell the full story of how intertwined China’s economy today really is with many industrialized economies, such as Germany. To see the whole picture, we should look at the so-called global value chains (GVCs). GVCs represent the complex cross-border supply networks of companies, which are the result of increasing international labor division. For some of Germany’s key industries, China is at the very heart of these GVCs and its importance is still increasing. Data for three German key industries – machinery and equipment, motor vehicles and chemicals – show that China’s economy today is among the top 10 supplier countries when considering foreign value added in 2014. 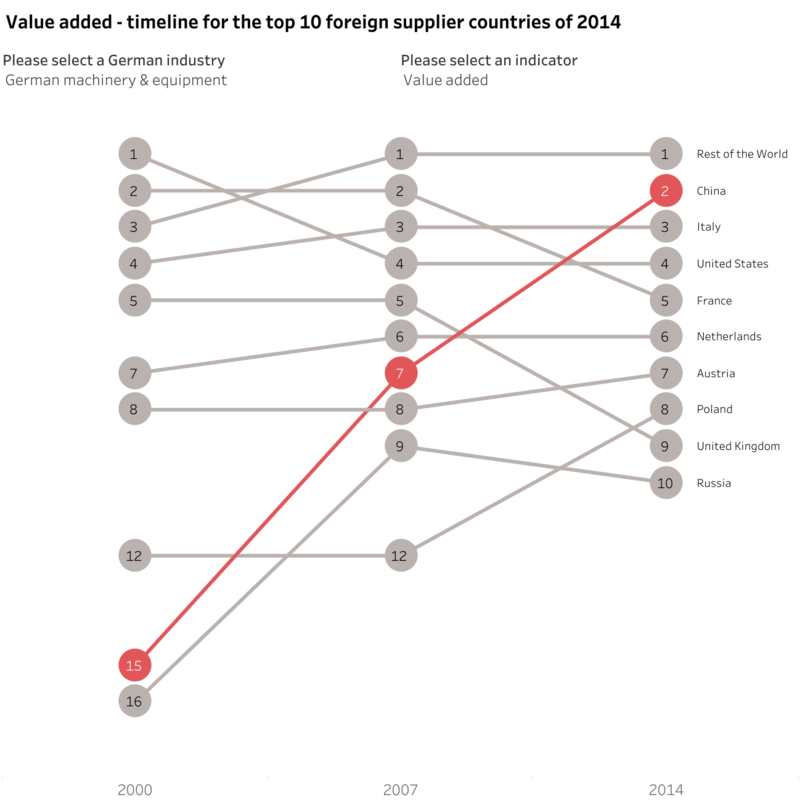 This trend is most advanced within the supply chain of German machinery and equipment, where China contributes 9 percent of the total foreign value added and ranks 1st among individual supplier countries (figure 1). China’s rise as a top supplier is remarkable, especially given the fact that, back in 2000, China’s contribution to the supply chains was minor, with approximately 2 percent for all three key industries. China’s crucial role in the supply chain of German industry is not only due to a recent increase in human work on Chinese soil but also a shift from simple, low value towards capital intensive and more complex processes. 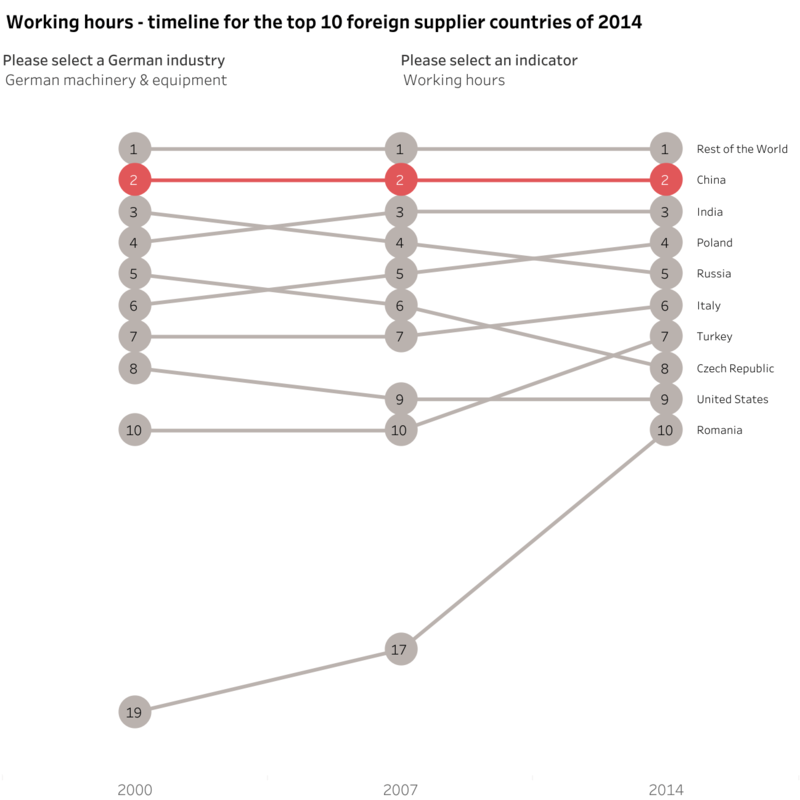 In 2000, China was already the single country contributing the most foreign human work within the supply chain of the three German key industries. Between 2000 and 2007 China further expanded its leadership position: in 2007 between 14 and 21 percent of all foreign working hours took place in China. In the following years, there was no further increase of China’s proportional share of foreign working hours. However, China’s contribution to foreign value added further increased between 2007 and 2014. Besides the increase of working hours itself, the increase in value added by China is derived from a major shift from primary processes such as mining and first products thereof towards complex intermediates and the associated R&D and other business services. This is in line with the explicit goal of the Chinese government to upgrade China’s position in the GVCs: in the 21st century, China should leave behind its role as the “factory of the world” and rather turn into the “research lab of the world”. While Germany’s industry has so far benefitted from China’s position in GVCs, e.g. 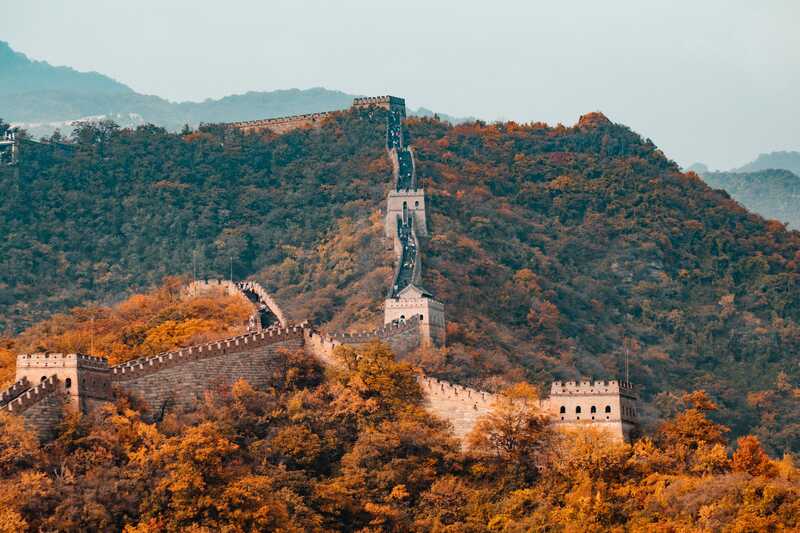 through cheap intermediates, this situation is about to change: As Chinese companies are reaching for the more profitable segments within GVCs, direct competition with German companies already occupying these segments increases. This does not necessarily threaten the very existence of German key industries, though. When new competitors emerge, incumbents can find new strategies to secure their place on the playing field, for example strengthening their competitive edge in complex technological niches. from a corporate perspective, German companies should increase their investment in research and development in order to be able to offer innovative products and services, thus staying one step ahead of their competitors – not only from China but also from other countries. From a political perspective, Germany and the EU should ensure transparent and reciprocal conditionson the global playing field so that companies may compete equally based on their performanceand not on policy-induced advantages. All calculations are done by Systain Consulting GmbH and are based on data provided by the WIOD project (World Input-Output Database). WIOD provides international input-output tables for the period 2000-2014. 56 industry sectors across 43 countries and an additional ‘rest of the world’ region are covered. The calculations focus on three industries which are pillars of Germany’s economic strength: ‘chemicals’, ‘motor vehicles’ and ‘machinery and equipment’. The analysis covers value added and hours worked within the respective supply chains.